InVogueJewelry: Genuine Obsidian v. Fake Blue, Green, Aqua, Yellow, Red Glass "Obsidian"
Genuine Obsidian v. Fake Blue, Green, Aqua, Yellow, Red Glass "Obsidian"
Obsidian Is Glass, But Not All Glass Is Obsidian! There are a LOT of sellers on the internet, on Etsy, on Ebay, on all sorts of websites, who are selling colored man-made glass as Obsidian. 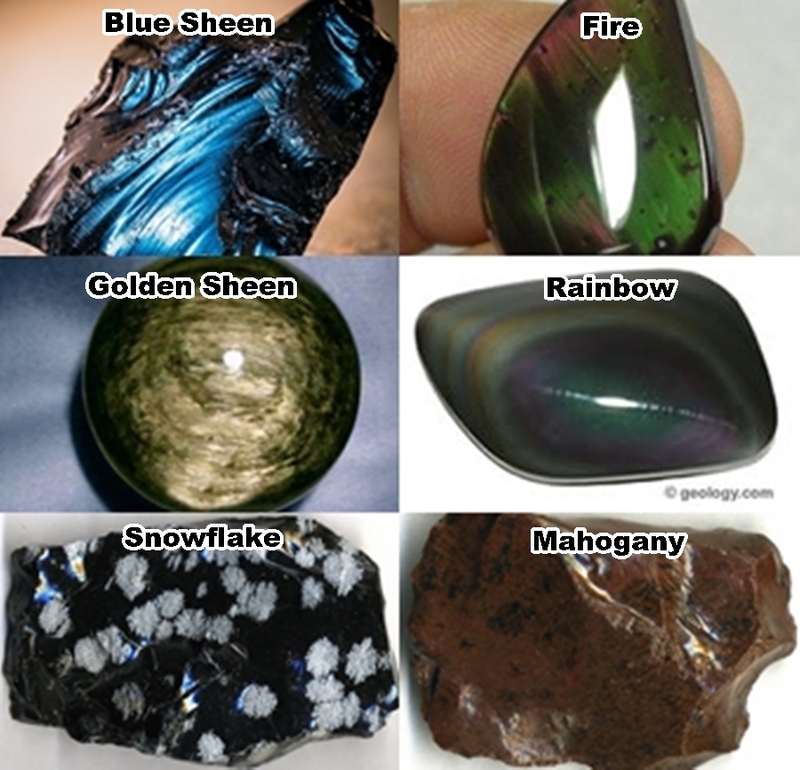 They claim that it's "natural", a "mineral" (which is false--obsidian OR glass are not minerals), "rare" in colors such as aqua and blue, and even give it names such as "Himalayan Blue" and "Siberian Blue" and "Andara Blue" and "Gaia Stone*" and many, many more. 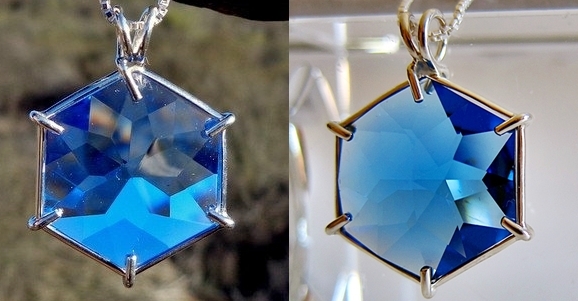 Some "creative" sellers claim that "blue obsidian" forms when lava reaches the water! WOW. These transparent blue, green, aqua, red, purple, yellow,etc. stones are nothing more than man-made GLASS. 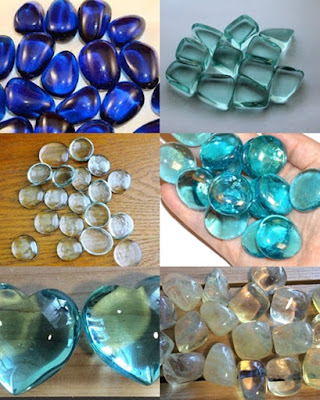 Some sellers are even selling faceted blue glass "gemstones" as "Obsidian", and none of these are anything other than man-made glass (or some sort of crystal or CZ perhaps). I have written about this jewelry separately, below. Many metaphysical shops on Etsy and elsewhere are offering tumbled GLASS as "obsidian" with all sorts of metaphysical properties, healing properties, etc. 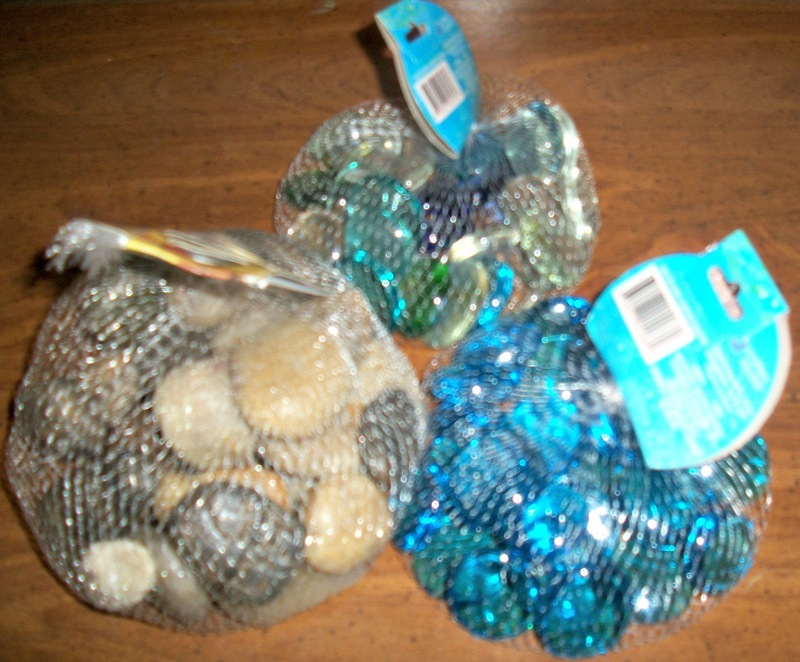 Some are even selling "palm" stones or "thumb" stones, which are nothing more than flat glass "gems" that you can buy by the bag at Dollar Tree or Michael's! I'm all for free enterprise, but buyers need to be careful not to overspend on glass! This is often more than just "creative marketing" so please BEWARE! Sometimes, even though the title of these for sale says "obsidian", the description will divulge that it's man-made glass. Does that seem right to you? To me, it's totally disingenuous to even say "Obsidian" AT ALL if it's just glass. Here you can see a great variety of glass being sold as "natural obsidian". Some are faceted spheres, some smooth spheres, LOTS of skulls and "eggs" which I didn't bother to picture, glass pieces in green (some shaped like a crystal! ), red glass, and a LOT of jewelry or "gemstones" that are marketed as "obsidian" but definitely are NOT----they are cheap glass or CZ, but are being sold for top dollar. There was SO MUCH of these fake gemstones all over the internet that I wrote about it separately! There are SO many sellers on Etsy and Ebay (and elsewhere online) who are selling slag glass as a mysterious "Andara Crystal" with mystical and magical powers. Slag glass is just a big chunk of leftover glass from manufacturing. It's found in pretty much any color. There is NOTHING mystical about glass---it's NOT a mineral and in fact doesn't even possess ANY crystal structure! So sellers offering "Andara Crystal" with all sorts of names ("Pele's Fire" and "Merlin's Purple" and Divine Fire" and on and on....) are just selling you a chunk of manmade GLASS. IT IS NOT A GEMSTONE! IT IS NOT A MINERAL! IT IS NOT A CRYSTAL! 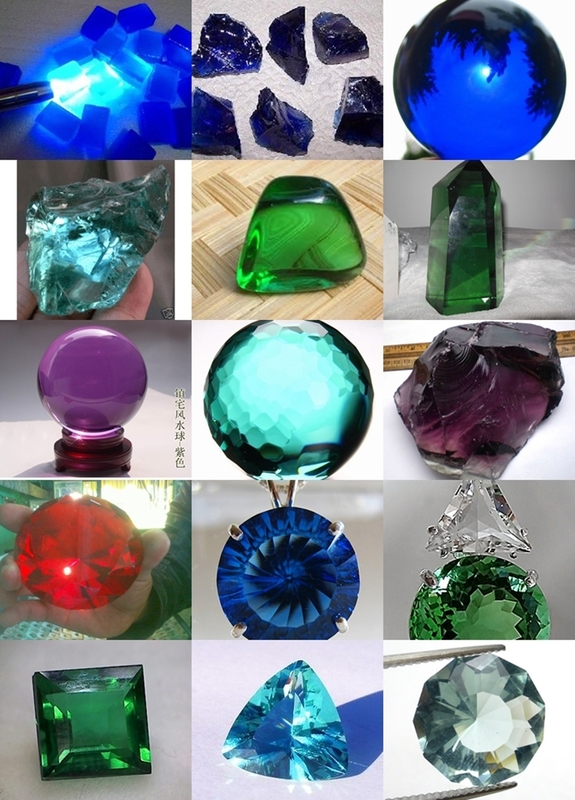 When I googled images of "Helenite", I was surprised to see a lot of this glass being marketed as "gem rough". It's really just glass, not a gem! These are ridiculous! Some of these blue CZ/glass/crystal rings are found at Kohl's under a "designer's" brand, the second ring is just "Blue Goldstone" which is Venetian glass that has copper crystals inside of it, some jewelry is on high-end jewelry websites (the ring appears in all the pictures to NOT be "rare blue obsidian"---which would be blue sheen obsidian----but instead looks to be either chalcedony or just art glass, set in sterling with a gold bezel, and sold for almost $900!! See picture below for a genuine sheen obsidian ring), 3 of the rings in the center are being sold for hundreds of dollars (!) and are just blue CZ or crystal, but marketed as "Himalayan Blue Obsidian" and next to it another "Himalayan Blue Obsidian" even though they are different colors of blue (same seller), and then a "unique" and "rare" "Neon Paraiba Obsidian" ring---very expensive, especially for glass or CZ! 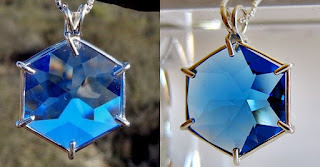 The cobalt blue rings and pendant used to be called "lab sapphire" (which it wasn't) but are now being called "obsidian", maybe because they ARE glass, not sure. The pendant at the bottom was given two very fancy-sounding names: Bahia blue Obsidian and Tibetan Aqua Obsidian----and of course they are neither, just glass or cz. You will note that it is dark (translucent black) obsidian with a natural "sheen" due to naturally-trapped gas bubbles within the obsidian. Pretty!! SIBERIAN BLUE QUARTZ OR TIBETAN BLUE OBSIDIAN? So you can see how sellers just make up names for things---quartz, obsidian, etc.! And they fabricate where it's "found" (the Himalayas? AND Siberia?") when all it is, is actually a man-made blue sapphire simulant. (Probably glass--the one on the right looks VERY glassy.) The one on the right sells for almost $300 (!!) and the one on the left is about $140!! Each is worth FAR FAR less than that. 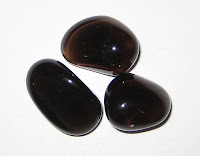 Obsidian is a naturally-forming translucent, dark, natural glass rock. It is formed due to volcanic activity. It is translucent black, reddish brown ("mahogany"), with banding or white splotches (snowflake), or with iridescent sheen in blue or green or gold due to trapped gasses, or rainbow or fire obsidian (due to trapped Magnesite). 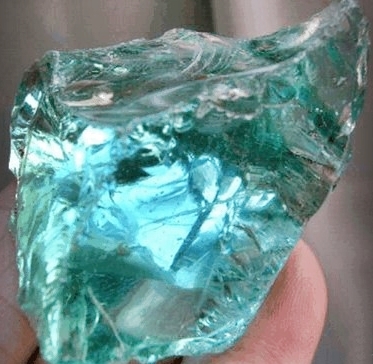 The faceted "gems" that are transparent blues and aquas are NOT Obsidian, but are man-made glass or something. 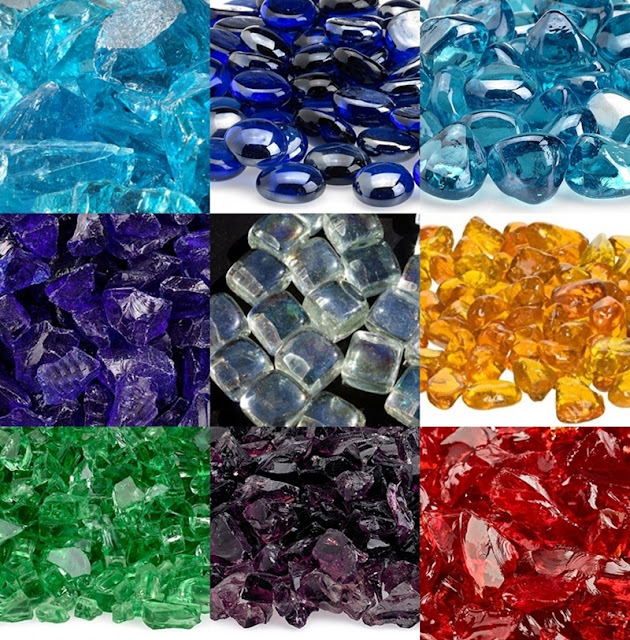 The tumbled or shards of transparent "obsidian" in all shades of blues, greens, reds, aquas, yellows, and other bright colors are just simply GLASS that you can buy anywhere, in any craft store, at roadside tables, or fireplace shops or home improvement stores. Colored glass is certainly pretty (art glass!) but jewelry made with transparent "blue obsidian" is most definitely made with some sort of man-made glass and is NOT worth hundreds of dollars. Thanks for this blog. I was about to purchase one of the blue obsidian pendants you showed and googled blue obsidian to find put more about the properties of the stone. All I found was so repetitive, all sellers have the same information , Bahia blue obsidian from Brazil, Tibetan Blue Obsidian from a sacred place in Tibet, it just smelled fishy to me. Finally something different, your blog and It just confirmed my suspicious. FAKE OBSIDIANS. Thank you for taking the time to write about it. Thanks so much for reading my blog! Yes, I saw so much of this glass being sold as "obsidian" and felt upset, so I wrote about it! I happen to live in New Mexico, right across the street from a volcanic escarpment, so real obsidian is EVERYWHERE. There really IS a "blue" obsidian, but it's black obsidian with blue "shimmer" inside of it---very pretty, not very rare, and you can really only see the blue in certain lighting (from gas bubbles inside the obsidian). I think sellers think that because obsidian is glass, although natural volcanic glass, nobody will be able to tell the difference---except obsidian isn't really found in bright colors like that. A buddy of mine found a 30lb blue green obsidian rock. I what raw obsidian looks like. Ive been around it most of my life. So if your rite. Then what did he find. De didnt smelt it himself. I was there when he found it. Reply anyone at jasonmatlock59@gmail.com please. I can send photograpsh as well as video of this stone. There are lots of pieces of "slag" glass, some really huge chunks of glass, that get dumped in remote areas. I've seen a lot of beautiful pieces of this "slag" myself when I've gone hiking in the mountains here in NM, and in really nice colors. It's glass, like obsidian is glass, except it's not volcanic glass. If you google "slag glass" you can see a lot of great pictures and information about it. Maybe that's what your friend found? Also, there is natural obsidian (volcanic) that has a blue-green sheen, due to some trapped bubbles inside the obsidian, so it might be that too! Sheen obsidian only looks blue or greenish when the light shines on it, otherwise it looks pretty grey. I hope this helps! It sounds like your friend found a fantastic piece of glass either way! Blue-green is my favorite color so I'd be thrilled to find something like myself! I bought a few pieces of obsidian in Mexico, during a holiday cruise to the Yucatan. I'm very happy with my purchases, and I would like to acquire more. Can you please identify two or three reputable dealers that would mail order? Perhaps local businesses in your area? How lucky you are to have gone to the Yucatan! I was lucky enough to live there as a student some years ago through the University of Chicago, and it's so beautiful and mystical there. I miss it every day! Anyway, as far as purchasing obsidian online---I never buy it since I live in volcanic New Mexico, and black obsidian is in my yard, so I've never searched for it before. However, there are mineral shops, such as www.mamasminerals.com, who are local to me and are reputable. But I'm not sure if they still sell online (I heard rumors they don't now). I looked at their website and they have "sheen obsidian" spheres which are nice, and also the "Apache tears" and obsidian rough for carving---I'd recommend them. You could always give them a call and ask if they'll ship to you, or could recommend someone near you. They're VERY nice there! I hope this helps! And thank you for your question! Love this article, you really should add the whole "Andara Crystal" scam to this massive Ebay/etsy industry of passing off slag glass as something else. I got a small peice of snowflake obsidian, I really want to know if it's real. How can you tell specifically if snowflake obsidian is real? Since osbidian and any other type of man-made glass are pretty much the same (physically and chemically), the only way to tell if it's snowflake obsidian would be optically---meaning, does it look like the picture of snowflake obsidian (above) with white splotches throughout that look like snowflakes? Those splotches are formations of a mineral called cristobalite, and a gemologist would be able to look at it and determine if there are minerals in your obsidian---then you'd know for sure! I hope this helps, and thank you! Thank you for this information. 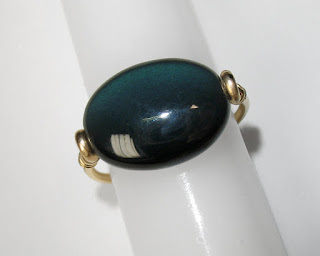 Interestingly enough, under Tibetan Blue Obsidian, you list "Satya Center" as the seller. I was scammed by them and bought a "Bahia Blue Obsidian" sphere-it is actually aqua, and whoever made it even put little strands in it which were marketed as "fairy strands". This was back in the day when I didn't know any better. I bought a lot of stones from them, most were legit but very over-priced. I finally stopped buying stuff from them. Was kind of sad since the owners seem nice enough. Oh yes, I've seen "fairy strands" too, so I know exactly what you mean! (But that's just very creative marketing.) Well, even though your sphere isn't natural volcanic glass, it's still a pretty piece of art glass! A gemologist could not really be able to differentiate between volcanic glass and man-made, because glass is glass, meaning there is no crystal structure in glass. However, obsidian can sometimes have gas bubbles and other minerals trapped inside it. As I said in my post, obsidian is black (or greyish or mohogany, etc.) and there is "sheen obsidian" which is basically black or grey but takes on a golden or greenish or bluish or rainbow-colored sheen in the light, due to trapped gas bubbles inside. Perhaps that is what you found. Other than the types of obsidian mentioned above, there is no other type of natural obsidian, and certainly not a crystal-clear blue natural volcanic glass. I don't know what you found, and if not sheen obsidian, then possibly slag of some sort left over from old mining days or something like that. I've seen some interesting things near the old ghost town of "Albermarle" in the Jemez! I just purchased a sphere of "black obsidian" off of the geek app for about $8...I put a white light on it to see inside and there are bubbles and what not but there were little chipped brighter areas on the surface so I scraped at it and can get quite a bit off if I wanted too. Is this just some sort of coating over man made glass?? Fake "black obsidian"? Hi! Well, obsidian is glass, and it does have little bubbles inside just like man-made glass. So it's hard to tell the difference! But volcanic obsidian doesn't scrape off--it's black or dark grey all the way through, so if yours has some sort of coating (paint maybe?) that doesn't sound like natural obsidian. If you want to see pictures of REAL Obsidian in all colors (sheen) go to my companies page on Facebook "J.R.C Mining Co." We are located in Lakeview, OR and mine from Davis Creek, .CA. The Author of this article is 100% correct in their rendition of what is real and what is fake! We sell REAL Rainbow, electric blue, black, grey, and red mahogany obsidian. Get a hold of us in Facebook!!! Hello, thank for your article. I to have bought pendants from Satya Center. I wonder if any of my pendants are real. I will never buy from them again. Did you buy those blue pendants I wrote about, or something else? Maybe some of the other things they offer are genuine gems--I don't know. But really, what's important is: do you like wearing your pendants? Do you love to look at them? To me, that's what jewelry is all about---fun things that are pretty or meaningful that you enjoy. So, if you love your pendants, that's all that really matters. I found this post very interesting. I'm pretty sure I have blue obsidian but would like to make sure. Can I possibly email or send you a picture? I would like to know what you think please. We are learning about rocks in science, our teacher was talking about obsidian to us and he has a box with obsidian in it but one is a reddish purple color, could it be real? Nixy, sure, it could be mahogany obsidian, or rainbow or fire obsidian. The colors in those appear in the light, due to trapped gas bubbles inside. If it looks like any of the genuine obsidian pictures I posted near the top of my post, then it's genuine. If it's translucent and purple, like those inexpensive glass pebbles/shards I wrote about above with pics, then it's not obsidian. Thanks so much for asking!